The Egoz Reconnaissance Unit (Hebrew: Yechidat Egoz) is an Israel Defense Forces infantry unit that specializes in guerilla and anti-guerilla warfare. 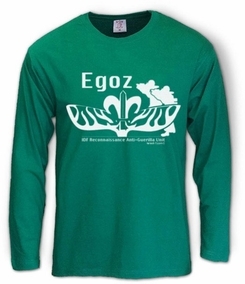 The Egoz Battalion is part of the Northern Command's Golani Brigade. Our t-shirts are made of 100% cotton and are long lasting with bright colors. Our products are all designed and printed in Israel.